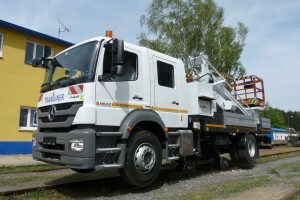 Mercedes Tramliner is a Road-Rail vehicle equipped with an insulated boom platform (for work under live OLE) and stowage compartments. 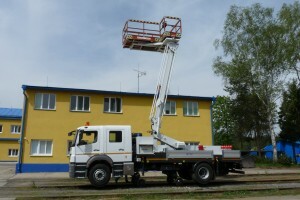 The vehicle is designed for ride and work on roads as well as for ride and work on tramway tracks, for maintenance operations, transportation of small materials, and repairs of live OLE, in compliance with all safety requirements. The vehicle is designed for ride on rails with rail gear gauge of 1435mm. L-shaped platform basket enables access from one operator’s place to and „behind” the catenary support. The power transmission on the driven rail wheels is hydrostatic, by means of pump and hydraulic engines. 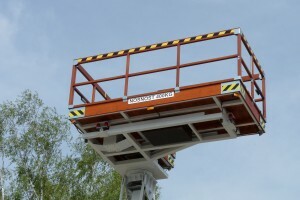 The mechanisms are driven hydraulically and are controlled electrically from the driver’s cab as well as from the control panels installed on the vehicle. For the safe ride, the vehicle is equipped with CCTV cam system for safe view behind the vehicle, and color LCD display. The rail gears and the working boom platform are illuminated for work at night.